The Microview is a chip-sized Arduino with a built-in OLED display. It is quite widely sold and there is a decent library and plenty of support for using it. The display is 64x48 pixels and, despite the size, the display is very readable. As you can see, you still get all of the analog pins and access to digital pins 0 - 6. I2C connections are on A4 & A5, like the Arduino Uno. The display uses SPI to connect to the microcontroller. These pins and a few more of the digital pins are unavailable. 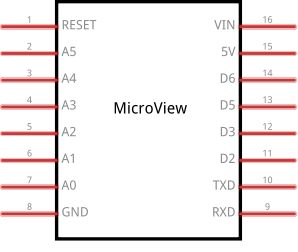 There is no USB connector and external tools are needed to program the microcontroller. 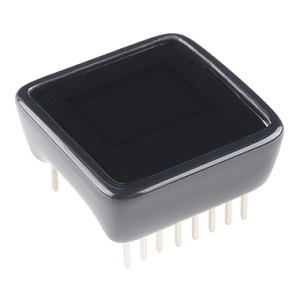 A separate programming board can be purchased or you can use a 5V FTDI programmer.